The world of medical care is constantly evolving. The methods and the technology used to treat patients improve significantly with each passing year. Accordingly, keeping up with these technological advances is no easy task. When the lives of hospital patients are on the line, it is crucial to have a trained professional who can operate and manage the function of updated machines. That is why radiologic technologists should receive up to date training in the interworking of equipment that allows medical professionals to take and evaluate medical diagnostic images. Florida National University (FNU) provides students with the means needed to begin the path toward a career in healthcare with a professional radiologic technology program. The healthcare industry is growing quickly and the demand for capable, skilled individuals is increasing along with it. The radiologic technology program instructs students in the safe and proper use of some of the most advanced medical equipment on the planet. 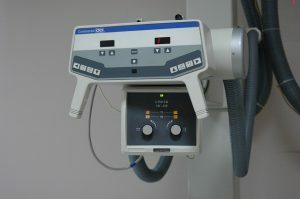 Medical equipment, such as x-ray machines and MRI scanners, require delicate handling and must be operated with extreme care. Improper safety procedures during x-ray imaging can potentially harm patients, so safety and training are top priorities. The program consists of training students in the field of diagnostic imaging through a combination of classroom assignments, labs and extensive clinical experience with patients. It also prepares students for the National Certifying Examination by the American Registry of Radiologic Technologists, as well as for the State of Florida Dept. of Health and Rehabilitative Service General License Examination. The program includes a thorough curriculum requiring a minimum of 86 credits—23 of which are general education courses that provide students with a solid foundation in which to confidently build on. The remaining 63 credits are core requirement courses including Patient Care Procedures, Radiation Protection & Radiobiology, Image Production & Evaluation, and Radiographic Pathology, which provide students with the critical skills and knowledge used by professional radiological technologists to ensure proper patient care. Students must also complete 600 hours of clinical practice before being awarded an Associate of Science Degree from FNU. A Radiologic Technologist is an integral part of a growing field of health care professionals who are in increasingly high demand. The Bureau of Labor Statistics (BLS) projects a growth of 21%, from 2012 to 2022, for radiological technologists, which signifies above average job growth. As the elderly population continues to grow, there will be a rise in the amount of medical concerns, such as breaks and fractures caused by osteoporosis, which can often require enhanced imaging to diagnose. Radiologic technologists will be needed to maintain and use the diagnostic equipment. Additionally, the federal government has introduced new health legislation which will expand the number of patients who have access to health insurance, increasing patient access to medical care. With the steady arrival of such a large amount of patients, Radiologic Technologists will be needed to assist those who administer care, such as doctors, nurses, and other medical professionals, in identifying and diagnosing the symptoms or causes of a wide range of health concerns. With the demand for more qualified radiological technologists rising, the profession has also seen increases in average salary. Radiological Technologists tend to be employed in hospitals, which are known to offer excellent employee benefits such as sick pay, 401k savings plans, paid vacation, holidays and other additional benefits. The BLS reports the average annual salary for radiological technologists who worked in hospitals in 2013 was $57,530. Those who specialized in MRI procedures earned $65,300 when working in hospitals in 2013. A Radiological Technologist will have the opportunity to specialize in a particular field or technology. The diagnostic imaging used by the technologists includes more methods than just X-rays, such as CT and MRI scans that are just as important in the diagnosis. 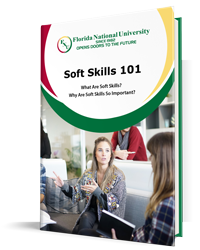 Students who enjoy the experience and challenge of learning something new often find that specialization can lead to a notably increased salary. Some can even choose to focus on more than one method to become certified in multiple specialties, which creates the opportunity for a dynamic working environment, which can increase employment opportunities. Radiologic technologists work with patients who are experiencing some type of health trouble in order to better understand and pinpoint the cause. While the primary duties of a radiological technologist is the operation and maintenance of medical equipment in order to conduct a patient’s diagnosis, the technologist also makes certain patients are kept safe during scans to prevent the exposure to radiation. It lies on the technologist to assist the patients with the proper procedures before and during the examinations. Assisting patients with proper positioning and answering questions about the process of imaging are all a part of making sure patients feel safe and comfortable throughout the procedure. Knowing that one’s efforts are directly translating into the efficient and successful care of patients is a rewarding sensation that only few experience. FNU: Leading Student into a New Future! If you’re interested in entering the radiologic technology program, where you’ll work side by side with the leading professionals in the healthcare field like doctors and nurses, FNU is dedicated to your continued educational development. Apply now and see how FNU can support you in creating a new future. “Radiologic Technologist.” Education Portal. N.p., n.d. Web. 03 Mar. 2015. “Radiology.” Wikipedia. Wikimedia Foundation, n.d. Web. 03 Mar. 2015. “Summary.” U.S. Bureau of Labor Statistics. U.S. Bureau of Labor Statistics, n.d. Web. 01 Mar. 2015.